Alan Bonnici ventured out on Anzac day to Altona beach with his Kayak. 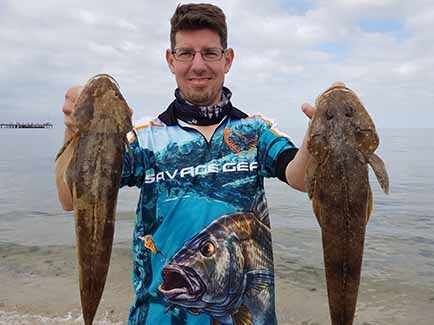 Giving himself a 1 hour challenge Alan managed 7 flathead. 2 really good size ones falling victim to curl tail soft plastics and squid strips as bait. The conditions and fishing was amazing.